Designing Patient-Centered Hospitals in Pakistan? How to Design Patient-Centered Hospitals? When it comes to architecture design, efforts to transform healthcare centers in Pakistan have seen little support and momentum from both the public and private sectors. As a result, people rarely get to see hospitals that have patient-centered design. To address hospital facility issues, it is essential that fundamental changes in culture, healthcare processes and physical environment should be made. So caregivers and resources supporting them can deliver safe care and improve the outcomes. The fact is, patient-centric design has become more important than ever. Since patients have started measuring quality of care from their surroundings, hence it is inevitable for caregivers to compromise on design quality. So how public and private sector can design a healthcare facility to attain these desired outcomes? 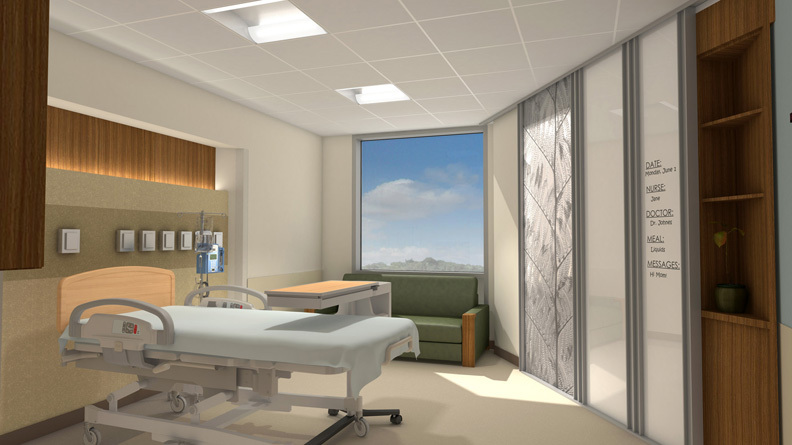 What design elements should they incorporate to build a successful patient-centered space? A policy paper by HOK (New York) and McGraw Hill Research Foundation has revealed the impact of design on healthcare goals and what should be considered when designing hospitals to build today’s modern care facility. When considering various approaches–from compact triangle to race track configuration–architecture companies in Pakistan must gauge which model offers optimal environment both to patient and staff. For instance, how it can reduce travel distances for staff, improve patients’ safety, visibility and communication with staff. Also, it should bring patients’ rooms close to nurses’ stations, maintain standards for same-handed configurations and use on and off-stage areas by keeping pros and cons of various approaches. Traditionally a centralized model has remained the first choice of designers and healthcare givers, but McGraw Hill Research Foundation and HOK’s research supports decentralized stations. Because it improves staff efficiency by reducing walking distances and increasing the time nurses can spend with the sick. The study also reminds that health information technology should be integrated in workspaces. However, the downside to the model is staff may sense isolation. Active participation of families and patients in healthcare decision making process. Provision of relevant information to patients and their families to make such decisions. Choice offered on what level of participation is desired in decision making process. As well as on institutional issues, including delivery and design of care.